Sending fabulous kosher food gifts is no longer hard. 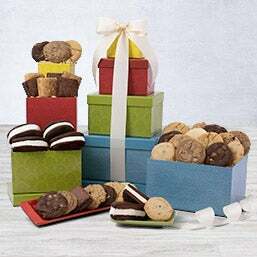 In our exquisite baskets, we gather together delicious treats, like artisan chocolates, crunchy cookies, and savory snacks, that aren’t only gourmet, but certified kosher to boot. If you’re looking for the perfect kosher gifts, we’ve got you covered. 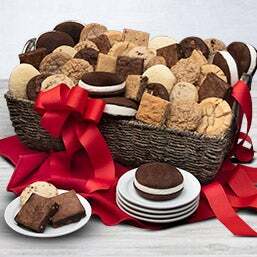 Each of our kosher gift baskets is stocked with gourmet treats that you won’t be able to find anywhere else. 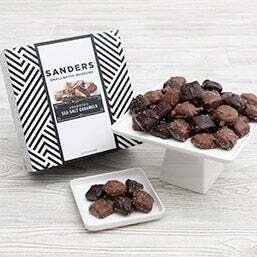 With decadent chocolates and savory snacks, our gifts are perfect for a number of occasions, including Hanukkah, bar and bat mitzvahs, and Purim. 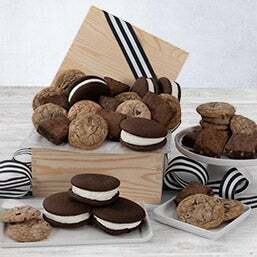 Wish them good luck on their new move and put a spin on “home, sweet home.” Our kosher food baskets and baked goods are made with the finest ingredients, ensuring that no matter where they’ve relocated to, it’ll certainly be sweet. When times are hard, send one of our Shiva gift baskets. 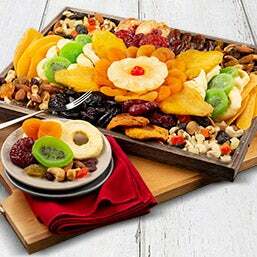 Comprised of dried fruits, nuts, and artisan chocolates, these arrangements do more than just convey your sympathies. 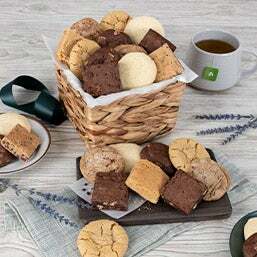 By sending any of our kosher Shiva baskets, you provide the family not only with snacks they’ll like, but those that they can offer while others come to pay their respects. Calendar of Jewish Holidays - Holidays – for every religion – can be hard to keep track of. Check out this calendar of Jewish celebrations that also explains what each holiday is about. Kashrut: Keeping Kosher - What’s the deal with keeping Kosher? Check out all the rules, what they’re about, and what it means to follow the set of Jewish dietary laws, the kashrut.